that people are very much anticipating. For sixteen-year-old Charlotte Reynolds, aka Charlie, being raised by a single dad and three older brothers has its perks. She can out-run, out-score, and outwit every boy she knows--including her long-time neighbor, and honorary fourth brother, Braden. But when it comes to being a girl, Charlie doesn't know the first thing about anything. So when she starts working at a chi-chi boutique to pay off a speeding ticket, she finds herself in a strange new world of makeup, lacy skirts, and bedazzlers. Even stranger, she's spending time with a boy who has never seen her tear it up in a pick-up game. 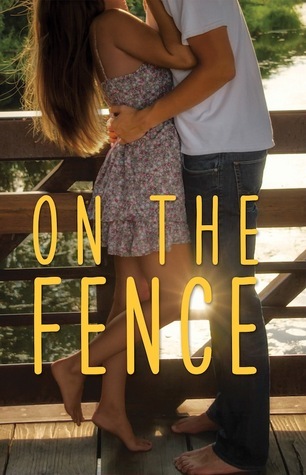 To cope with the stress of faking her way through this new reality, Charlie seeks late night refuge in her backyard, talking out her problems with Braden by the fence that separates them. 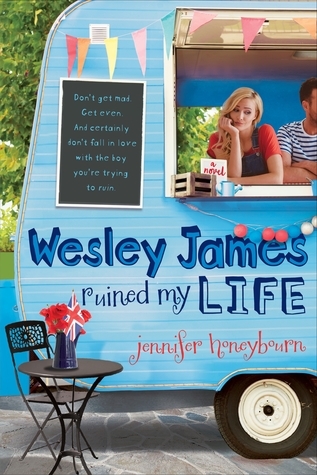 But their Fence Chats can't solve Charlie's biggest problem: she's falling for Braden. Hard. She knows what it means to go for the win, but if spilling her secret means losing him for good, the stakes just got too high. Quick Note: Where's Kasie's name on the cover? Are you waiting on a cute and fluffy book this week? Great pick! I love cute books, and I haven't heard of this so thanks for sharing! This one is on my list as well. Thanks for sharing. I love her! I can't wait for this, or Split Second. I'm so excited two of her books come out next year. Great pick! thank you very much for the information provided. Don't Look Behind the Bookshelf: That's A Wrap!